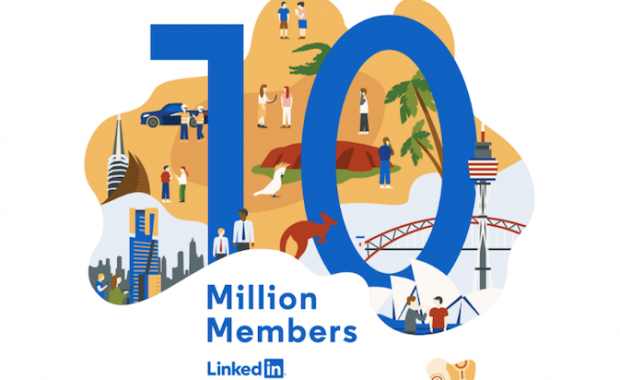 LinkedIn is celebrating its latest milestone of 10 million members in Australia and has launched its Power Profiles lists for 2018. Today LinkedIn announced its milestone of accruing 10 million Australian users. With an international network of more than 590 million users, LinkedIn opened its first Australian office in 2010, entering the market with an existing one million users. ANZ country manager for LinkedIn Matt Tindale comments, “A diverse community of 10 million members is a significant representation of professionals on LinkedIn as there are 12.6 million working Australians in a population of 25 million. Alongside the announcement, the professional network has also unveiled its ‘2018 Power Profiles’ list, showcasing the platform’s most-viewed professionals across five categories: founders and CEOs, SMBs, social impact, marketing and advertising and HR. “This is also a great time to celebrate the success of some of our members in Australia, who are the most viewed professionals on LinkedIn in 2018,” writes LinkedIn ANZ head of brand marketing and communications and regional lead for B2B comms, Shiva Kumar.